Today's Meditation Moment features the wisdom of Theresa Reed, The Tarot Lady. Theresa guides us on how to incorporate yoga into tarot, and how to make tarot a physical part of our daily movements and activities. Theresa has been a practicing yogini for about 15 years and a yoga teacher for eight years. 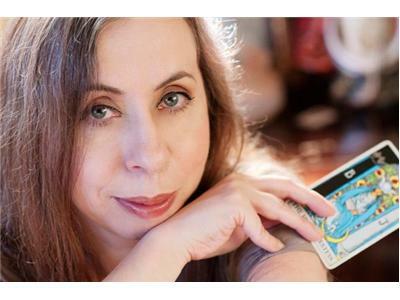 You can learn more about her yoga practice at http://innerdivinityyoga.com, and more about her tarot work at http://thetarotlady.com.